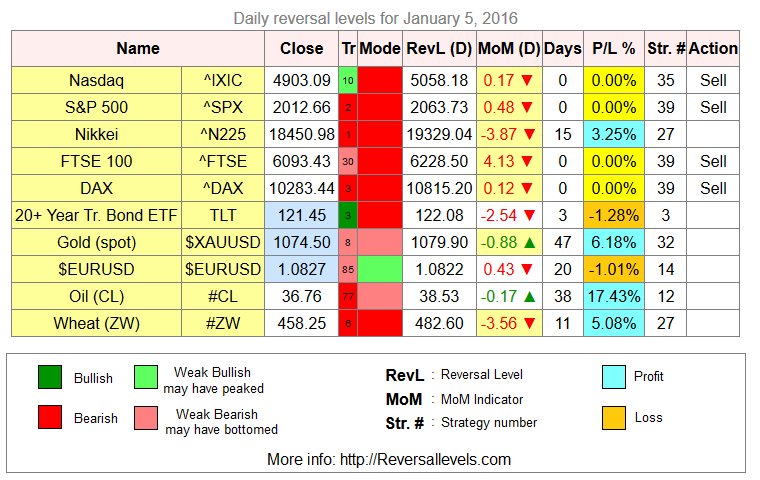 * Sell signal for Nasdaq, S&P 500, FTSE 100 and DAX. * Buy signal for CHK. 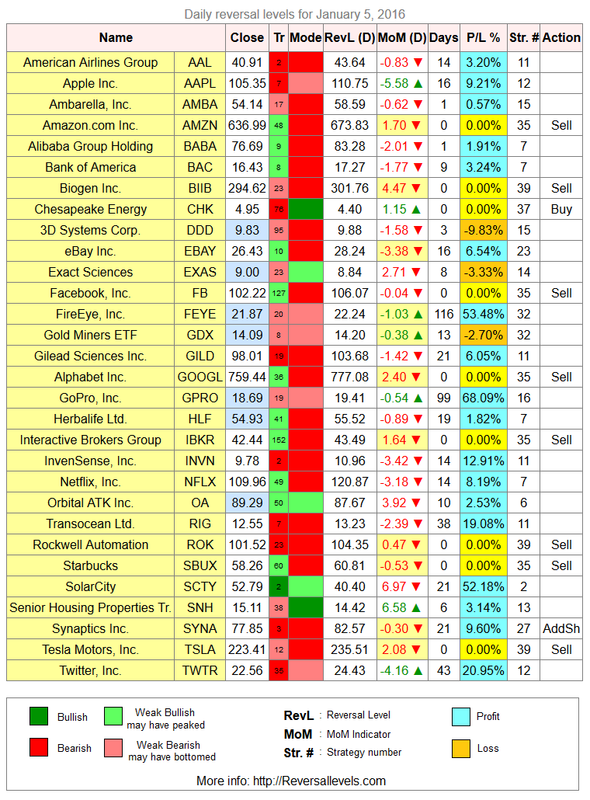 * Sell signal for AMZN, BIIB, FB, GOOGL, IBKR, ROK, SBUX and TSLA. * Can add to shorts in SYNA.